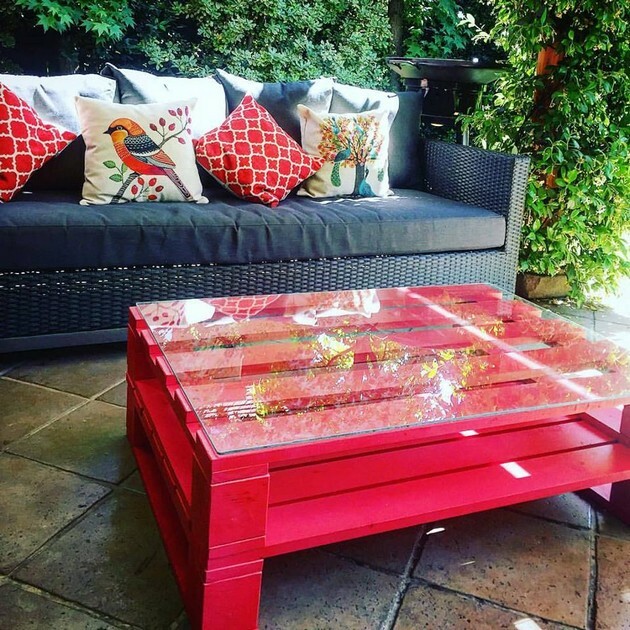 Just imagine how much do we care for the you folks, we have categorized the different pallet wooden creations in each separate title that would fulfill the furniture needs for some certain portions of the house. Like here we are building up to gather some awesome lounge furniture ides that would ideally be suitable for the lounge because they would be carrying certain shape and size that won’t capture much space. And the same time the look of your lounge would have been changed entirely. 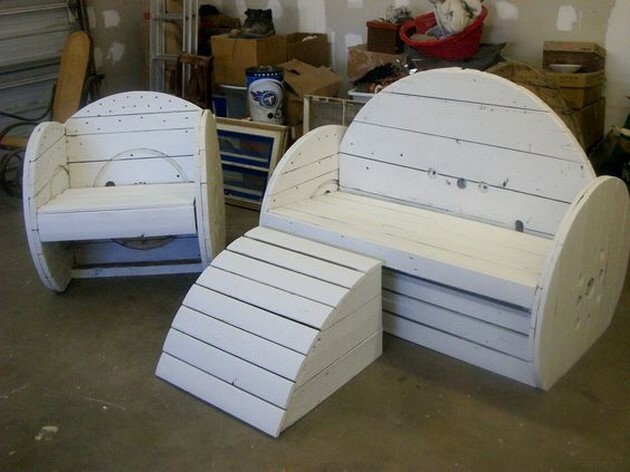 So don’t be unlucky to miss this chart of lounge furniture ideas out of pallet wood. 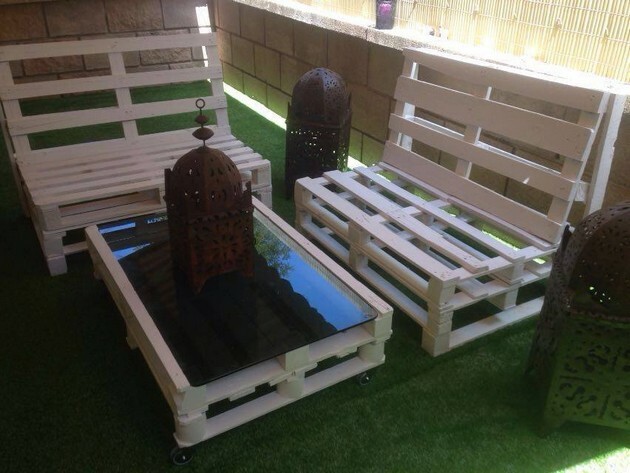 Tell me do you see any flaws in the design and structure of this whole pallet wooden furniture range? 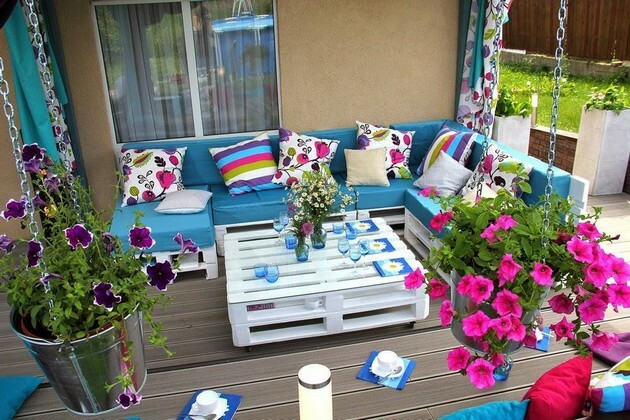 Don’t go for the cushions, you might place the ones according to your choice. 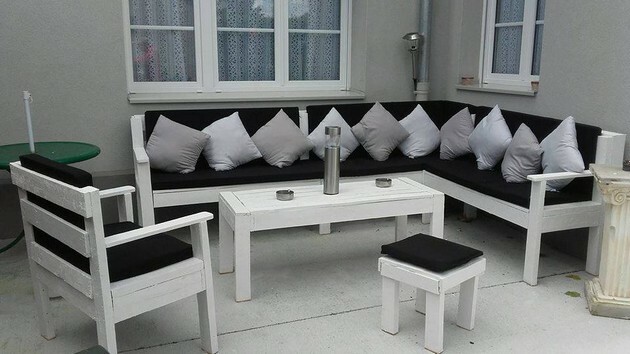 It is about the shape and basic structure of this furniture range for the lounge. And this is the cutest wooden furniture range that is recycled so far. And do you know what is the good thing about this one? We have mainly used the wooden cable reels here do you realize it? I think any wood pallet crafter can figure this out very easily. And this is probably the most common furniture shape that we normally see in average decorated houses with a bit shortage of the budget. They were made to give you guys the whole variety to pick out one for you according to your choice. Though we ensured very fine sanding and staining here. 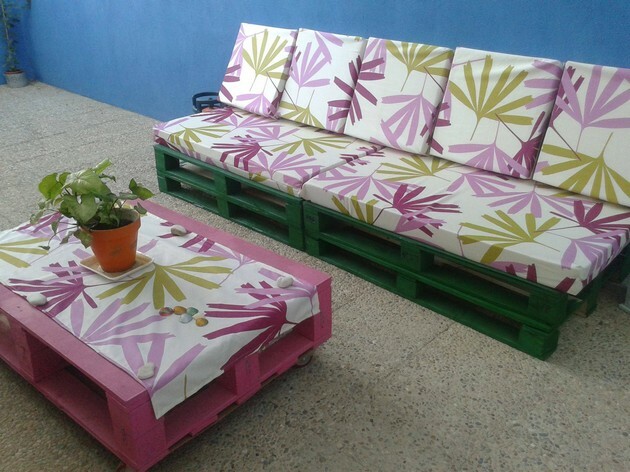 Do you see this grand pallet wooden L shaped couch that is stretched all along the wooden deck? This seems like the whole space is captured by this wooden monster. Come whole of the family and you guys would still not be short of space I am sure. Here we are just focusing on the wooden pallet coffee table. It has got an exclusive design with a fine glass top that is certainly a good feature that is adored by all of us. Because the rash surface of the wood might irritate sometimes so better go for this glass top. This one was probably made for an ultra civilized and mannered family who is excessively choosy and fanatic in the selection of their wooden furniture items because we can see that the whole range reflects decency, sophistication and a genre of class and esteem. 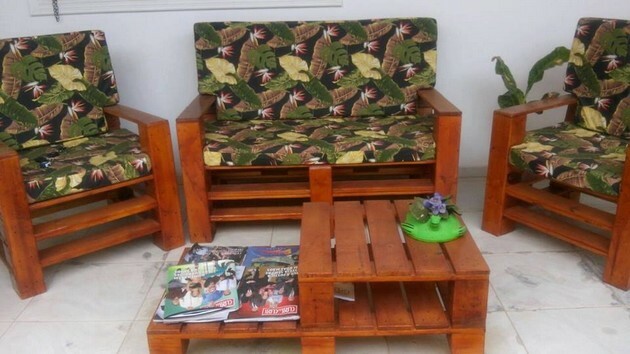 This one is a casual sort of sitting arrangement as we can see some dumpy moves in the design of the entire wooden pallet furniture range. Plus we have also chosen a wild sort of stain all over the couch and the matching wooden coffee table. Enjoy watching movie here on your laptop, or may be enjoy reading a book here. 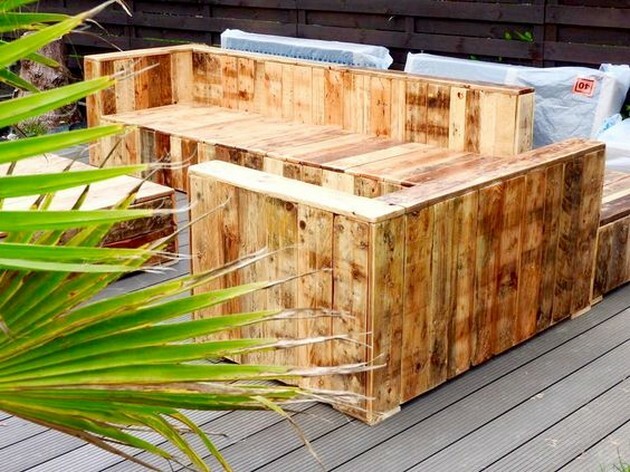 And finally again we wanted to end up on an exclusively decent wood pallet furniture range that would suit the taste of every special and common user. It has got it all, fashion, style, charisma, reflection of artistic beauty and above all the class.